Enterprise and Public Sector | Agile Networks Ltd.
Building secure and resilient campus networks can be a straightforward task for a greenfield site. Likewise forklift upgrades for single vendor networks can be achieved by most reliable network integrators. What’s not so straightforward is how to manage multivendor networks and offer customers a clear, cost effective migration path from their legacy infrastructure. Some customers want to consolidate a mixed environment or rationalise previous disparate networks, others want to embrace a best of breed approach of different vendors tailored to their specific business needs. Either way, they need a networking specialist who understands their legacy and will help them plan ahead. Because networking is our core business and all of our engineers have a multivendor background we can assist in that planning. Agile understand the complexity, pitfalls, and risks associated with network change and will help you to build a network that is fit for purpose for your campus or head office. The benefits of remote working and distributed IT are clear for many firms – allowing staff and partners access to resources from any location and delivering on the promises of teleworking. The challenge is how to build branch networks that deliver secure remote access without compromising performance or making life impossibly difficult for remote users. As a first step, many organisations implement some form of VPN to create encrypted tunnels between the remote user and a centralised resource. Significant cost saving can also be achieved – for example encrypted tunnels through the Internet can be used as a substitute for expensive leased lines. Our expertise though extends beyond helping customers implement and manage firewalls and VPNs to include smarter use of network resources – for example delivering centrally managed wireless access for smaller sites, remotely controlled UTM and AV web filtering and application performance management to prioritise the right applications for the right users in a branch environment. Wireless LANs have traditionally been associated with markets such as retail, hospitality, health and education. Increasingly though organisations are seeing the benefits of both indoor and outdoor wireless networks. Benefits include replacing the need for structured cabling, providing greater flexibility and mobility for staff, and meeting increasing user demands to connect smart phones and tablets driven by the BYOD phenomena. Beyond simple connectivity, wireless networks deliver more through technologies such as RFID (asset tracking) and location based services. Services such as guest access also offer potential either as a revenue generator or as a value-add to loyal customers, trusted third parties or simply as a convenience to visitors. Agile offer a thorough understanding of the security requirements, appropriate control of devices, and the ability to plan and implement a wireless network which delivers the same experience as the wired network. This is built on our experience with over 100 wireless sites ranging from small schools to large corporate head offices. This increased use of video in business is well documented. Whether it is dedicated room-sized telepresence suites for board meetings or single webcam use the drivers are the same. Reduced costs, lower carbon footprint, and better collaboration between virtual teams and customers mean Audio Visual (AV) solutions are an important part of any IT network. Our corporate AV services deliver professional and seamless auditorium, presentation and meeting solutions with a custom design that is both high-tech and simple to use. From simple projectors and screens to fully integrated iPad controlled systems, we can equip your rooms with a range of tools that make it easy for staff, board members and visitors to interact with the AV technology. Agile have relationships with many of the industry’s leading vendors including a specialisation in Cisco Telepresence solutions, Polycom AV solutions and many other leading Video Conferencing and Audio Visual systems. Our deep knowledge in networking and network security means we deliver AV to some of the most demanding corporate users, often as part of a multisite rollout. Organisations currently struggle to deliver predictable application performance to an increasingly distributed and mobile workforce. With business applications moving to a cloud based offering, traditional QoS mechanisms no longer give adequate resources to these in preference to less critical and recreational applications such as personal social networking. One answer is of course to increase bandwidth but that comes at a cost. Another popular approach is wan acceleration through dedicated devices that either compress or prioritise certain traffic in other words traffic shaping for particular applications and/or user types. In reality the best solution is to combine application visibility, control, compression, optimisation and acceleration. It ensures valuable network resources are always deployed to the best business advantage, enables key cost saving and security initiatives and reduces help desk calls related to application performance. Ultimately, this drives up productivity throughout the business and delivers greater customer satisfaction and profitability. With today’s explosive growth in the use of computer networks, web-based applications, the Internet, intranets, extranets and other computer related applications, hacking is becoming commonplace. High levels of reliability, availability and security are being demanded in order to meet business objectives. 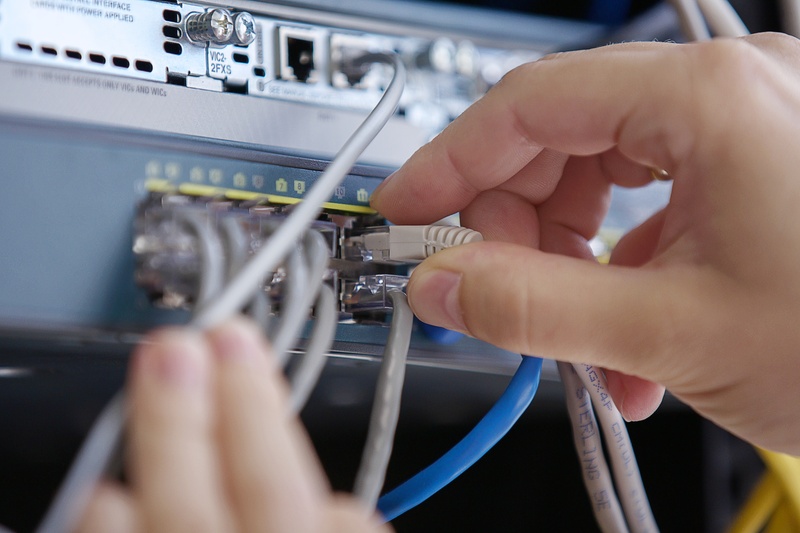 Network security is the first step to providing secure and reliable networks. The cornerstone of an organisation’s network security is a firewall – protecting the internal resources of the network from outside attacks and regulating what traffic flows in and out of the network. However security does not stop at just firewalls since many threats also come from within an organisation. Agile will evaluate the risk to your network and propose the best policy to detect and prevent security breaches, which may involve an intrusion prevention solution or other similar measures. We support a range of security products including Firewalls, Intrusion Prevention, Network Access Control, Encryption, and Authentication – all designed to eliminate the risks and costs of security breaches to our customers’ networks. The expanding use and size of networks has required organisations to input increasingly more resources to manage them, with maintenance, security and operations requiring continuous attention. Networks allow an organisation to securely communicate internally and externally making it a critical resource. Unscheduled disruptions resulting in the failure to process daily business transactions are costly and potentially disastrous. With this in mind, organisations are increasingly looking externally for managed services to save resources and gain key expertise, allowing them to focus on the strategic objectives of the organisation. Agile implement customised network management tools that fit specific business needs. Through 24×7 proactive monitoring, trending, analysis, and testing our goal is to identify and resolve network issues and security vulnerabilities before they impact the business. Our network management platforms deliver unified control of routing, switching and security devices, enabling centralized network management and programmability from a single platform, and also making the network infrastructure SDN-ready. Business and IT leaders require a more responsive IT infrastructure that can help accelerate business initiatives and remove inefficiencies. To meet this challenge, the network needs to deliver a flexible, resilient, and adaptive architecture that delivers service orchestration. The technology that helps deliver this new dynamic is virtualised networks. By using network virtualisation solutions, network resources can be deployed and managed as logical services, rather than physical resources. As a result organisations can enhance enterprise agility, improve network efficiency, reduce capital and operational costs, whilst maintaining high standards of security, scalability and manageability. With this an organisations’ IT department becomes a business unit that delivers services to improve the enterprise rather than simply a cost centre. Agile will carry out the network services, features, and configuration necessary to provision the application’s virtual network (VLANs, VRFs, Firewall rules, Load Balancer pools & VIPs, IPAM, Routing, isolation, multi-tenancy, etc. ), allowing organisations to decrease their costs whilst ultimately increasing their efficiency and productivity.